The Belgian federal government has agreed to release up to €70 million in funds for the construction of a fifth European school in the Brussels region. The new school will have capacity for 2,500 pupils and will be built on the recently vacated Nato site in Evere, after the organisation moved into brand-new facilities on the opposite side of the road in Haren. According to De Morgen, the plans have been approved by Belgian interior minister Jan Jambon, whose responsibility includes public properties. Jambon hopes that a temporary school facility can open on the site in September 2019, it is reported. 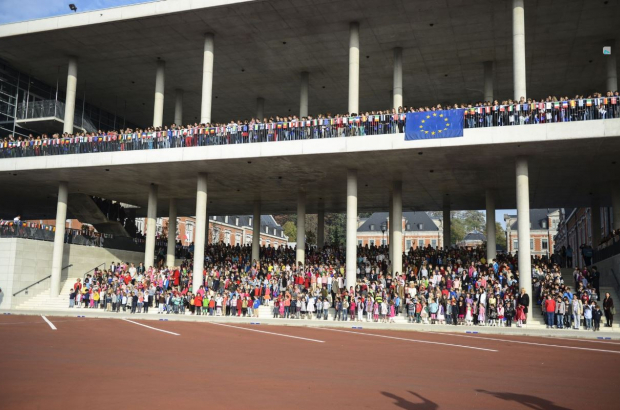 The secretary-general of the European Schools, based in Brussels, had previously set a 2024 target date for a new school to be fully built and operational. The number of pupils enrolled in Brussels’ four European Schools - Laeken, Uccle, Ixelles and Woluwe-Saint-Lambert - increased by 8% between 2014 and 2017. Headcount in each school ranges between 2,700 and 3,000 pupils. The European schools are open to children of staff associated with the EU, Nato, the UN and some other diplomatic institutions.